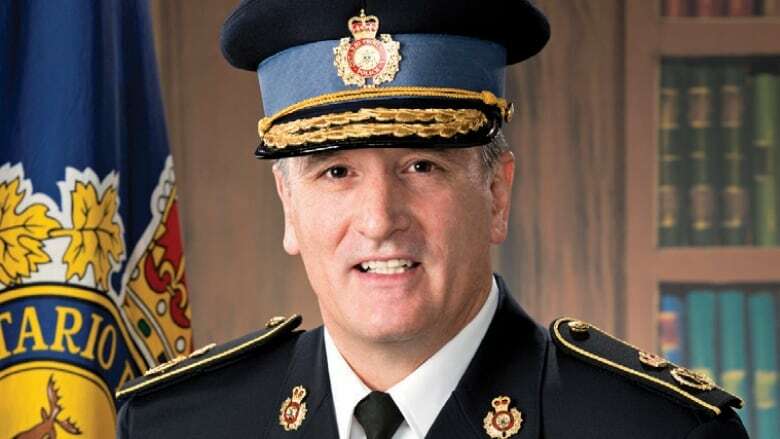 A high-ranking Ontario Provincial Police officer who was fired Monday alleges it is reprisal for waging a legal battle over the appointment of a friend of the premier's as commissioner. A former high-ranking provincial police officer alleges his firing this week was in reprisal for waging a legal battle over the controversial hiring of a long-time friend of Premier Doug Ford as commissioner of the force. Brad Blair has asked the courts to force the provincial ombudsman to investigate the appointment of Toronto police Supt. Ron Taverner to the Ontario Provincial Police top job. The government has denied any political interference in Blair's firing as deputy commissioner, and said the decision to fire him Monday came from the public service because Blair released confidential OPP information through his court filings. Blair was fired by Mario Di Tommaso, deputy minister of community safety, and Blair alleges that was a conflict of interest because Di Tommaso was part of the hiring panel that selected Taverner and is therefore part of the case before the court. "It is patently clear to me that this is reprisal and an attempt to muzzle me, and that this reprisal is directly connected to my good faith efforts to seek redress before the divisional court and the provincial ombudsman," Blair writes in an affidavit filed Tuesday in court. If there were concerns about the material Blair was filing in court being in the public realm, the attorney general could have asked the court to seal the documents, Blair writes. In a statement Tuesday, Blair said raising concerns about real or perceived political interference was the right thing to do, even though it ended his nearly 33-year OPP career. "The cost of a compromised OPP is too great a price to pay," he said. "The OPP can be called in to investigate provincial politicians, and the citizens of Ontario need to have faith that the OPP is truly independent, above political interference, and free from abuses of power." Di Tommaso's hand-delivered termination letter to Blair says that he recently filed internal OPP emails in court, after Blair had been warned not to do so in a Dec. 28 letter. "Your failure to comply with my clear directions in furtherance of legal proceedings brought in your personal capacity has ruptured the trust on which the employment relationship is built," the termination letter says. The Dec. 28 letter said that it shouldn't be construed as disciplinary action, but Di Tommaso wrote that he expected Blair to comply with proper procedures in the future. Community Safety Minister Sylvia Jones denied that Di Tommaso — who is also Taverner's former boss — was in a conflict of interest. "The deputy minister of public safety is going to have a very critical and important role in … what is happening in our police services," she said. "I think that we have to keep in mind that the recommendation was from one individual, but it was a nine-member committee (of the Public Service Commission) that ultimately made the decision." Blair also says in his latest court filings that one of the members of the Public Service Commission who approved his firing also participated in Taverner's hiring process. Ford has previously described the job of OPP commissioner as a "political appointment," telling a television anchor the premier could even appoint him commissioner. The NDP is calling for a public inquiry into the whole situation. "We need to have this thing blown wide open so that people can get a real sense of who's pulling the strings and manipulating the process," said NDP Leader Andrea Horwath. Taverner, 72, initially did not meet the requirements listed for the commissioner position. The Ford government has admitted it lowered the requirements for the position to attract a wider range of candidates. Taverner's appointment has been delayed until the integrity commissioner completes an investigation into his hiring. A Dec. 14 letter from the premier to the integrity commissioner was included in Blair's new court filings, and in it Ford said the rank requirements were removed following discussions between the recruitment firm, the secretary of cabinet and Di Tommaso. Ford said he is not aware of any consultation with his office on the change. "I reject any assertion that this change was made to specifically permit Mr. Taverner's application for the position," Ford wrote. "I would agree that some of the allegations that have arisen could have been avoided had the ranking requirements been removed from the job ad before its original posting." Ford told the integrity commissioner that his office was part of the initial recruitment planning process and retained an external executive search firm to assist. "I believe this fact alone refutes any allegation that there was an orchestrated plan to appoint Mr. Taverner," he wrote. Blair was also in the running for the commissioner's job, and was acting OPP commissioner at the time he started his legal case, but soon after was removed from that position. Blair initially requested an ombudsman investigation into Taverner's appointment in December, amid what he called "growing concerns of political interference" in the hiring process. He said it had deeply affected the morale of rank-and-file officers. Blair has also threatened to sue Ford, alleging the premier damaged his reputation when he said Blair violated the Police Services Act by speaking out against Taverner's hiring.